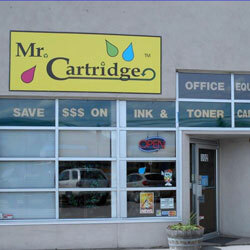 SAVE money on printers, cartridges AND help SAVE the Okanagan environment! 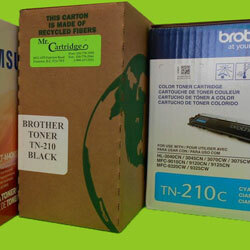 Mr. Cartridge is the smart choice for re-manufactured and Brand New Laser Toner cartridges. Saving you money and time and saving the environment from the disposal of thousands of cartridges. Together we are doing our part to recycle, re-use and renew. We carry all major brands of original equipment manufacturers’ brand name laser toner cartridges, as well as compatible and re-manufactured cartridges for them. In other words, whatever laser toner cartridge you need, we have very competitively-priced cartridge choices for you. Interested in how a laser printer works? Read this article: laser printer technology. Our re-manufactured laser toner cartridges offer tremendous savings — as much as 60% less than the comparable new OEM cartridge. Business customers: Free pick-up and delivery. Great for you and the planet too! The required fields are marked with an asterix *. Most blanks are optional - just fill in what you can and we'll contact you if more information is needed.